3.06GHz Intel Core i3 1920-by-1080 resolution 4GB (two 2GB) memory 500GB hard drive 8x double-layer SuperDrive ATI Radeon HD 4670 with 256MB In the box: iMac Apple Wireless Keyboard Magic Mouse Power cord Install/restore DVDs Cleaning cloth Printed and electronic documentation Description LED backlighting. One bright idea. Full brightness with no waiting. That's the big advantage of the LED-backlit iMac display. Unlike most displays that take time to warm up before they reach maximum brightness, an LED-backlit display is instantly on and uniformly bright. 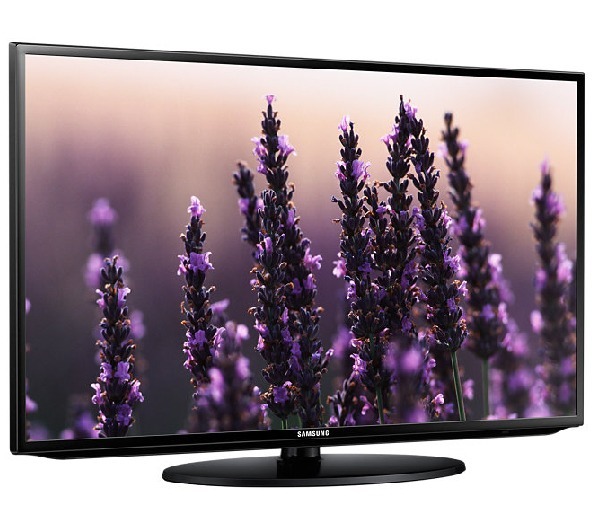 LED backlighting also gives you greater control over screen brightness. More pixels. Better picture. iMac offers some prime pixel real estate. The 21.5-inch, 1920x1080 display has 17 per cent more pixels than the previous 20-inch iMac. The 27-inch, 2560x1440 display has a whopping 78 per cent more pixels than the 21.5-inch iMac. And a 1000:1 contrast ratio gives you more vibrant colours and blacker blacks. All that in a widescreen display with a 16:9 aspect ratio - the same as an HD TV. Stunning from every angle. The iMac display looks great from any seat in the house, thanks to a premium display technology called in-plane switching (IPS). IPS gives you a bright picture with excellent colour - even if you're viewing the display from the side. New Intel Core processors across the line. All iMac models now include processors from the blazing-fast Intel Core series, featuring an advanced processor architecture that helps set new performance benchmarks for iMac. The 21.5-inch models and one 27-inch model come as standard with a dual-core Intel Core i3 processor starting at 3.06GHz. For even more performance, choose the top-of-the-line 27-inch iMac with a quad-core Intel Core i5 at 2.8GHz or optional Intel Core i7 at 2.93GHz. Four cores make just about everything you do faster: managing your photos, editing HD video, even playing graphics-intensive 3D games. And since Mac OS X Snow Leopard is designed to take full advantage of Intel dual- and quad-core architectures, you get the fastest performance possible. Revved-up graphics. Every iMac comes with high-performance discrete graphics processors from AMD that make games run smoother, photos load faster and pro applications work better. Built-in Wi-Fi. 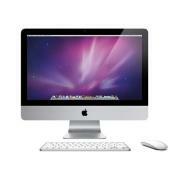 High-speed 802.11n wireless technology is built into iMac. And with Time Capsule or the AirPort Express Base Station, every computer in every room can wirelessly connect to iMac, the Internet and each other. Over this network, everyone can print, surf the web and play music on iTunes through your home stereo -wirelessly.